What problems are new digital signage offerings solving for integrators? 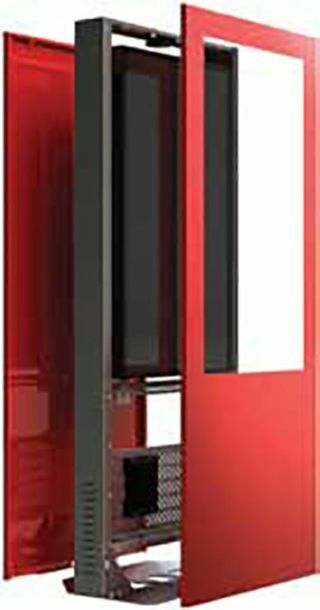 Peerless-AV’s integrated kiosk. Fully integrated kiosks have been solving numerous problems for integrators, namely issues surrounding compatibility and deployment costs. As an all-in-one solution, these products save both time and resources. For example, Peerless-AV ensures each of our integrated solutions are fully tested before being sent out to the integrators. Using our Kiosk Builder, we work with the integrator to determine which solutions they would like included in the kiosk (display, touch screen, camera, content player, etc.) and then we test the group for compatibility before being sent out for deployment. We essentially create a plug and play solution for the integrator and the only additional work that needs to be done is training the users at the location on how the content works. I have worked on many projects where the technological aspects have been more complicated than anticipated and has required many hours of re-purposing of content, downloading touch drivers, etc. With our integrated kiosks, everything is done ahead of time. We do not want the solution to arrive on-site and the integrator comes to find out that one of the pieces is not compatible with the others. This saves time and reduces overages and/or extra fees accrued from spending additional time integrating the product. Ricoh Digital Signage Solution packages are built around the small, lightweight PJ WX4141N. The heart of the system is a Lenovo computer preloaded with Scalable Display Technologies edge blending software. The RDS3 package uses three PJ WX4141N’s projecting brilliant signage or graphics measuring up to 18 feet wide whenever and wherever they’re needed. System integrators typically struggle with pulling all the various elements together needed to spec and install digital signage. A packaged solution with all the hardware, software, and connections included eliminates integrators having to go to various sources to get what they need. This ultimately gets the customer a digital signage solution much quicker and at a more competitive price. Specifically, with a packaged solution, a systems integrator doesn’t have to worry about how many cables they will need, what adapters will be needed, which triphead, which computer to use, loading the software, and testing the system. Ricoh is offering a large scale projector based alternative to flat panel digital signage systems. Everything you need to complete the system is included in the box. The system integrator doesn’t need to worry about cables, extensions or special connectors. All the software is preloaded and the system is tested and ready to go. The content creation and management workflow is easier than ever as users can access a single platform to create, schedule and publish content to multiple types of screens, including videowalls, interactive touchscreens, and even smartphones and tablets. As a result, system integrators can offer a wider variety of solutions to customers that solve business pain points. Content management platforms that allow users to handle exceptional situations, such as local caching of content to prevent black screens in the event of a network outage, or the ability to remotely reboot displays, also help SIs avoid costly support issues. Finally, integration with real-time sources of information, such as user-generated content on social media networks and integration with third-party systems streamlines the content creation workflow and frees up users and SIs time to focus on other work. A problem integrators face with digital signage is sourcing one compact unit capable of driving content for a screen matrix of 4 LCD’s coupled with the proper software to not only run the application, but to provide other functions, such as remote monitoring and content management. In the past, a media player could only support only one or two displays, but with an enhanced graphic core, today’s new generation media players are able to support four independent displays, which significantly reduces the number of IPCs needed to be deployed in the field and enlarges the possibility and availability for video wall applications. All Advantech digital signage systems come pre-loaded with an embedded OS, SUSIAccess for Signage as a signage console, as well as Acronis-supported data protection, and McAfee security software. AOPEN’s OpenService provides customized digital marketing solutions in pre-packaged bundles. As a manufacturer, prepackaging hardware and software together will help eliminate compatibility issues that installers face when sourcing components themselves. Eliminating these issues allows installers more time to focus on delivering solutions instead of running various tests which increases deployment time, ties up personnel, and thereby limiting business potential. Benefits for installers with pre-packaged bundles (Solution-in-a-Box from AOPEN) include: faster deployment, fewer compatibility issues, more focused on their expertise, increased business opportunities, improved product reliability.